I had my family over this past weekend and I decided to make a fall themed dinner. 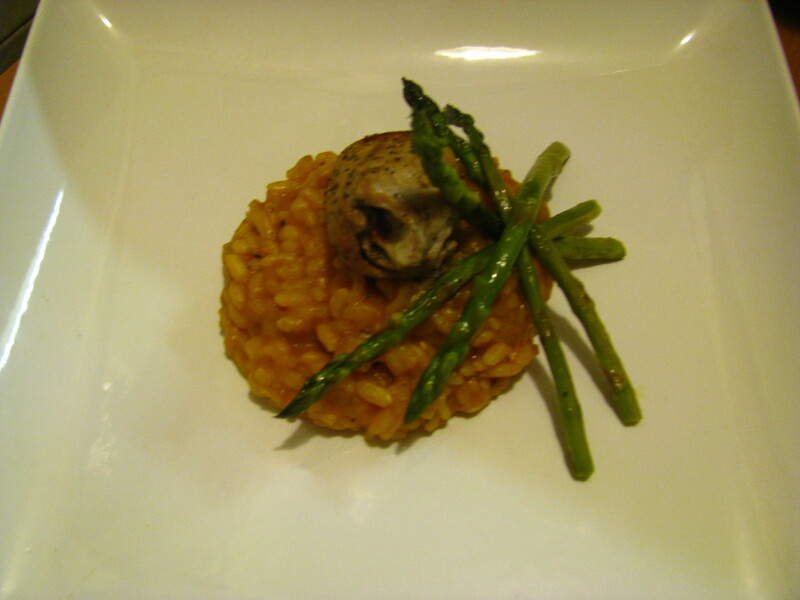 I made some pumpkin risotto and veal stuffed with pancetta and gorgonzola cheese with some sautéed garlic asparagus. This risotto was filled with flavors of pumpkin. I know it sounds weird but it’s totally worth trying out especially this time of year. As Columbus day comes upon us a lot of people don’t know that Veal is the meat of choice for the celebration. Veal is such a tender meat that can be done in so many ways. I decided to stuff it this time around and it came out perfect. So go get creative with some risotto and veal. Enjoy! Do you have a favorite fall dish? I have been experimenting with risotto as of late. Thanks for the great idea. Great combo, looks delicious. I look forward to following your eats!